I haven't read the manga, but I have been watching the anime. Kakashi seemed to use earth style before inclining to lightning style. So can a shinobi learn to master a chakra nature other than his chakra nature easily ? Or does Kakashi have both the chakra natures ? Kakashi Hatake's natural affinity is towards Lightning Release. Being a Jonin (now Kage) level ninja, he is adept in using multiple releases. Earth Release is not his natural affinity, and hence he had learned it (along with other releases). So a shinobi can learn to master a chakra nature other than his chakra nature easily. Is that so? Jōnin are generally able to use at least two types of elemental chakra, proficient genjutsu, and decent taijutsu skills. It is common (but not easy) for shinobi to master elemental chakra apart from their affinity. Shinobi have an easier time learning to create and control chakra natures that match their affinity, although even then it may take any number of years. Shinobi are not limited to the nature they have an affinity for, and it is in fact common for jōnin to have mastered two natures. 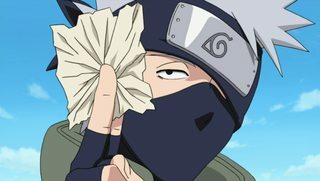 Although it is technically possible to master all five natures, it is very rare because of how much of training is involved; Hiruzen Sarutobi, Hashirama Senju, Tobirama Senju, Mū, Kakashi Hatake, and Orochimaru are the only shinobi known to have done so via normal means. Although Kakashi can have any chakra nature because of his Sharingan, his two chakra natures are lightning and earth. We know this, because Kakashi himself creates Chidori, a lightning style technique, and he performs some kind of earth jutsu before he acquires the Sharingan. Will a person's first chakra nature always be the strongest? How can people perform some Earth Release jutsu without having Earth Release as their chakra nature? Do all Uchihas have fire nature chakra?